It’s easy to assume the public cloud war is over and Amazon has won. Gartner highlights Amazon Web Services offers five times the utilized compute capacity of the other 14 cloud providers in the Gartner Magic Quadrant. Combined. However impressive this lead may seem, Gartner’s analysis didn’t include the Google Cloud, which hadn’t yet publicly launched. 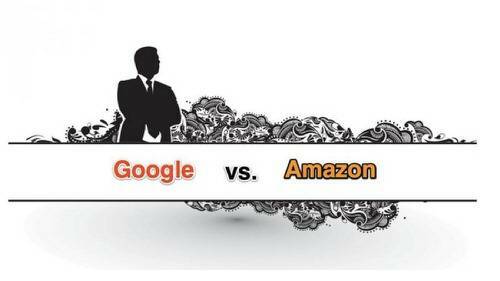 Google is different from Amazon’s other cloud competitors. And it has something that AWS doesn’t: massive, insanely fast network capacity. This could be a game changer. AWS: Game, Set … Match? There are many reasons to love AWS. Unlike the prototypical vendor wielding monopoly power, AWS hasn’t raised prices or slowed innovation. In fact, it has done the exact opposite, relentlessly dropping prices and spinning up new services and features at a torrid pace. Not so at Google. The search conglomerate already sports over 75 developer-centric APIs, far more than AWS. Google groks agile development. But the vulnerability of AWS may not be a matter of development vitesse. It could instead have far more to do with network speeds. Every competitor is frantically looking for AWS’ weakness, something that can be used against it to win over developers and the enterprises they serve. People have called out security and performance for years, but Amazon keeps marching on. Waters could be right. Trying to push enterprises into a fully public cloud may ultimately fail in the face of strong hybrid approaches from the likes of Pivotal/CloudFoundry. But this may not be enough. GigaOm’sBarb Darrow lists“8 things Google Cloud could do to freak Amazon out,” but she leaves out one major differentiator, something that Cloudscaling’s Randy Bias latches onto and which may trump all other factors: network capacity. Because dark fiber is now in seriously short supply, Amazon doesn’t have the ability to play catch-up simply by spending. AWS is now structurally incapable of competing with Google in terms of supply of bandwidth between its data centers and the cost of delivering that speed. This is a very big deal. Will it be enough to slow down the AWS juggernaut? Time will tell. But Google is most definitely a real competitor to Amazon in the cloud. Things are about to get interesting.